In cases like this, it’s best to leave IT maintenance to the professionals at CASS Tech. Managed IT services like those offered by CASS Tech are great for small businesses that have a limited budget. Part of our job is making sure that your network and infrastructure are working as efficiently as possible, all while keeping it secure from external threats that could create dangerous situations for your sensitive data. We can monitor networks for threats and vulnerabilities, as well as resolve them remotely without an expensive on-site visit. With careful analysis and threat prevention, it’s possible to eliminate threats before they can even become an issue in the first place. You can expect an increase in security and reduced downtime due to your systems being less prone to failure and preparing for potential threats. 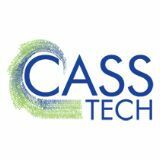 Our goal at CASS Tech is to provide you with as much value as possible from your IT solutions. Whether it’s eliminating unnecessary steps through automation or making things easier for your employees, saving time adds value by saving time and resources that are better spent elsewhere. In a sense, you can rest easy knowing that we are taking proper care of your technology, as our reputation and business model depend on your business getting the most value out of our services as possible. 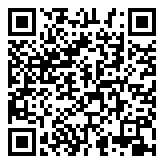 For more information about IT services, call us at (248) 538-7374.